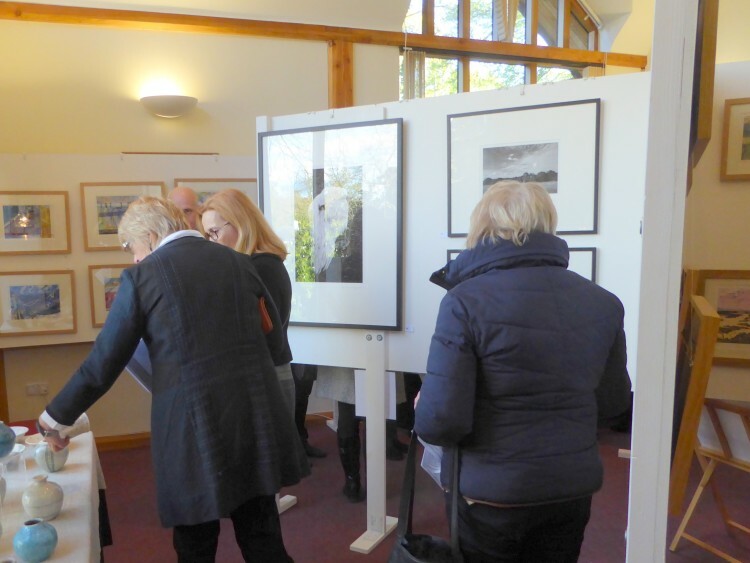 Lexden Arts Festival has got off to a great start this year. 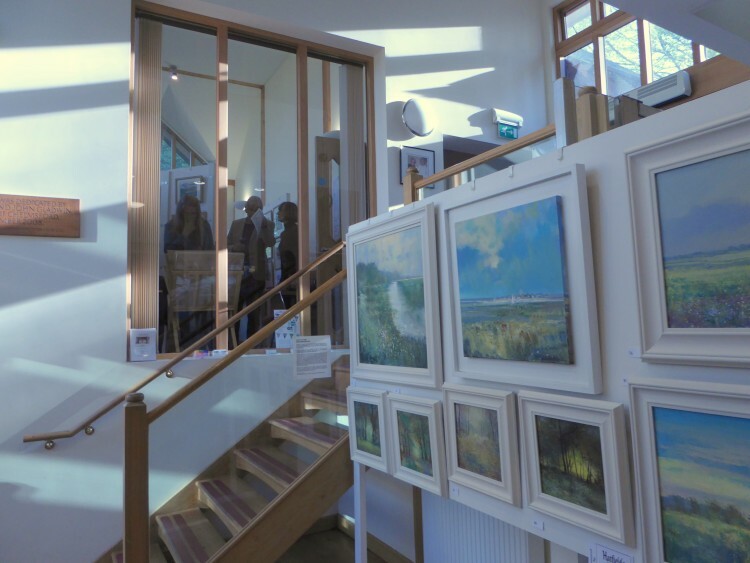 Having spent all last week working really hard, hanging the exhibition and setting everything up, we’ve now got to the fun part – welcoming all the visitors, selling lots of wonderful artwork, and enjoying the evening events that we have arranged. 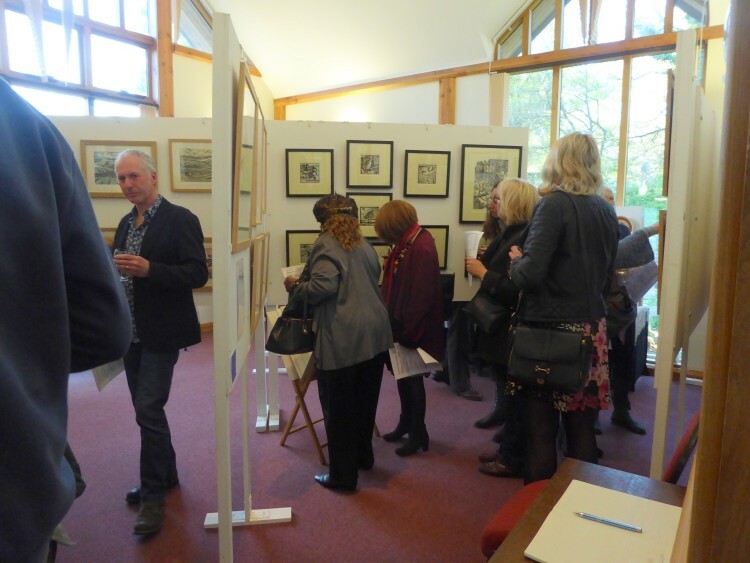 The Private View on Friday evening was a lovely time, with most of the artists able to come, and lots of sales. 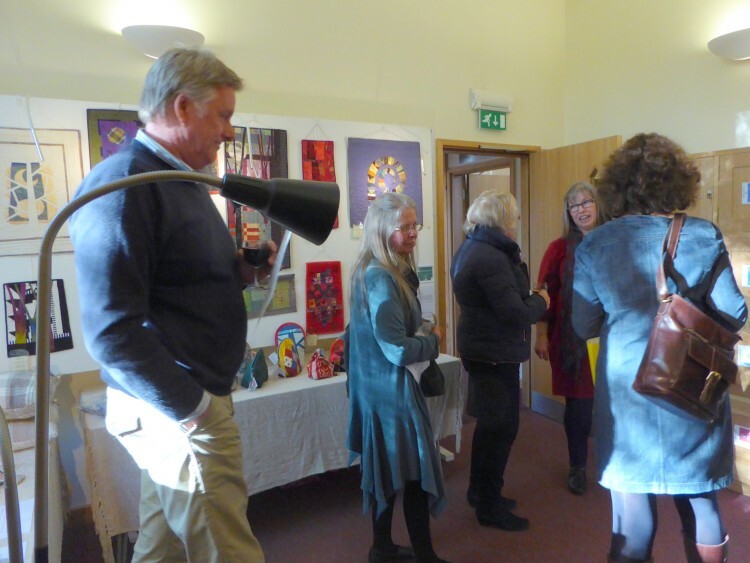 Here I am stewarding the Private View, very ably assisted by Rachel Burrage, who is studying the exhibition list on the left of the photo. 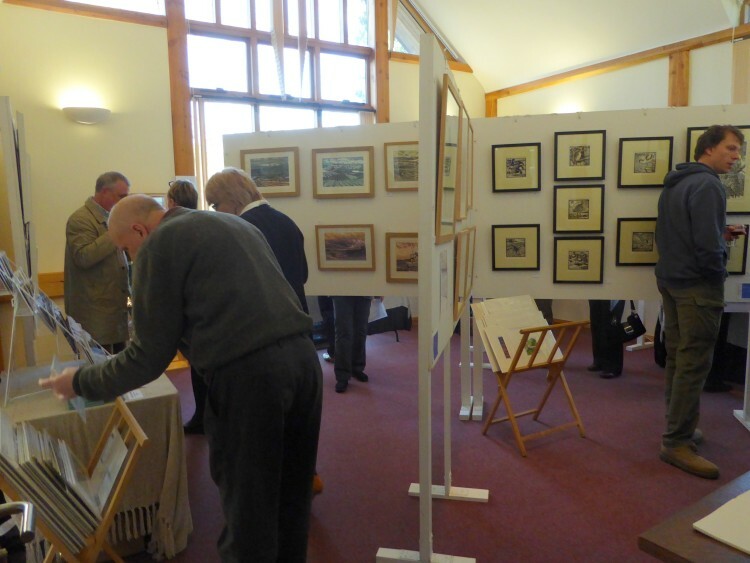 Anne Townshend’s lino prints can be seen on the left, with Richard Allen’s lino prints on the right. A group viewing Rob Wheeler’s ceramics, with Richard Hayward’s photographs visible to the right, and Tracy Saunders’ watercolours in the background. Chatting in the textile room – Helen Howes’ work can be seen in the background. Jonathan Trim’s paintings have caused a lot of interest, and four of these have sold already. 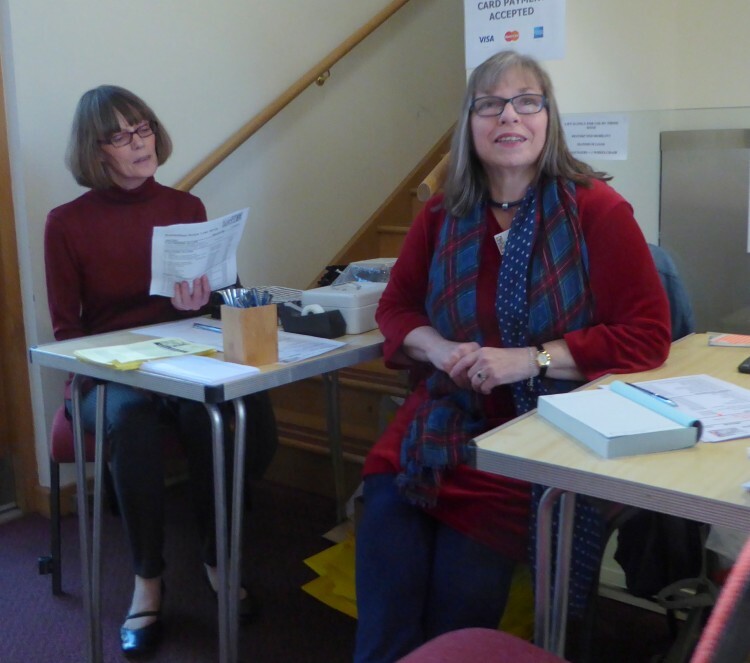 Last night we had the first of our evening events, with Hannah James’ ‘Jigdoll’, which was absolutely amazing – even better than I was hoping. 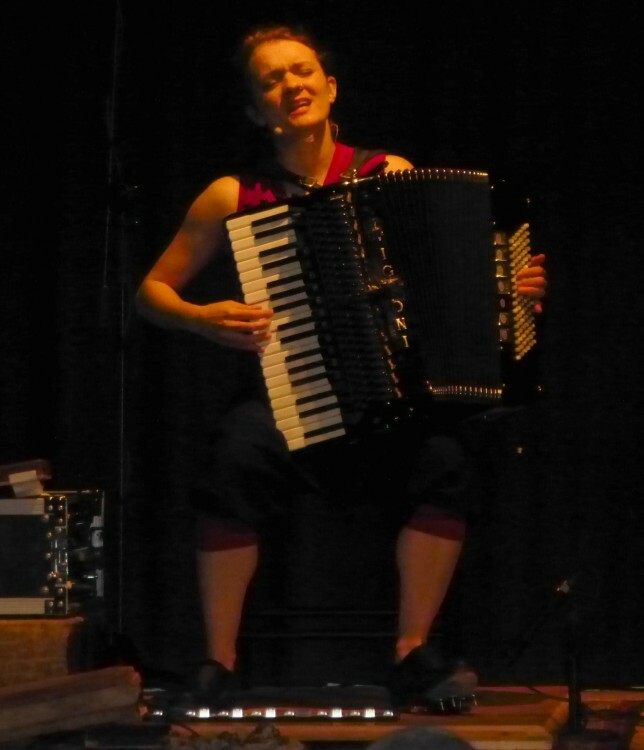 Everyone really enjoyed it, and we are hoping to book Hannah again for a future concert. She is such a talented, innovative and delightful performer.